Like the blooming exuberance of Spring, like the taste of a cocktail crafted to perfection, like the music industry before Creed existed, all good things must come to an end. 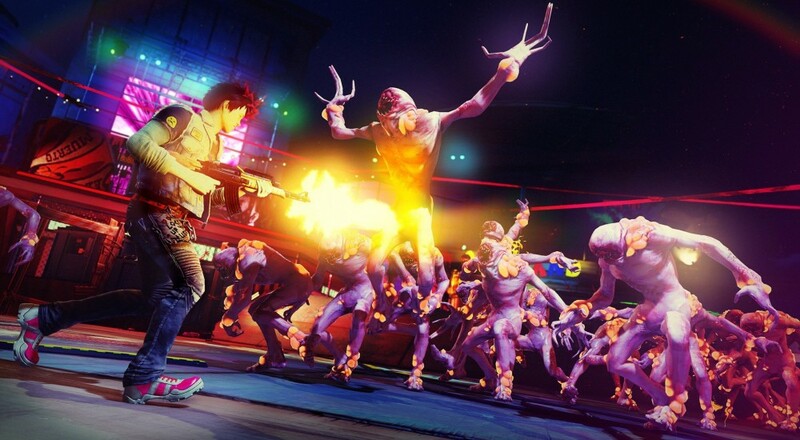 Alas, the DLC release schedule for Sunset Overdrive could not escape the ever-creeping tides of time. April 1st shall mark the release date of "Dawn of the Rise of the Fallen Machines", the game's final DLC pack. Following the offshore antics of "Mystery of the Mooil Rig", this newest expansion offers a new sci-fi zone that players can traipse around in and use as an excuse to toss around tons of sick references. You can be all, "Bro, you ripping apart that Fizzbot reminded me of the time Idaho straight up wrecked the Fish Speaker in Frank Herbert's 'God Emperor of Dune.'" Then the two of you can bump fists and turn up the newest Fall Out Boy record. Instead of following in the footsteps of many modern AAA releases, Insomniac Games seems to be making sure that they're not overstaying their welcome on the Xbox One in terms of DLC releases. Of course, the final pack is a perfect excuse to hop back into the game's 8 player co-op mode, "Chaos Squad", one last time. Aside from the extra weaponry and cosmetic options, the new content also promises more objectives for the aforementioned mode. If you and your friends just got done with a lengthy discussion on how man-made technology is just "bringin' you down", blasting Fizzco's defense machines would be the perfect way to blow off some steam. The exact price has not yet been noted, but those without a season pass will likely be able to pick up "Dawn of the Rise of the Fallen Machines" on April Fool's Day for $9.99. Page created in 0.3182 seconds.